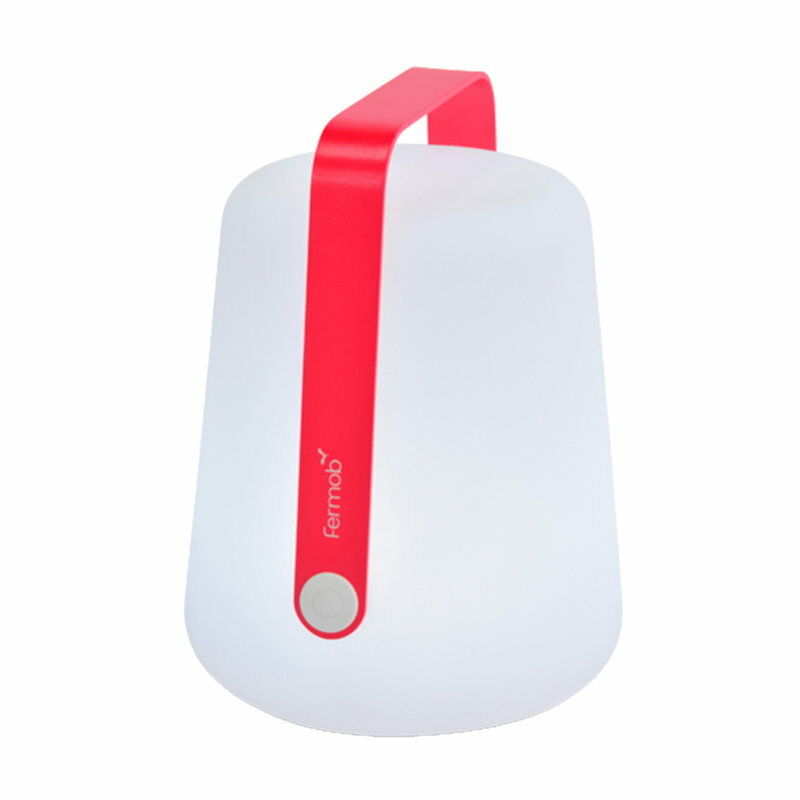 Balad H25 lamp by Fermob can be placed on the garden table, tree branch or inside the house. The cordless table lamp has two different lighting intensities and colour temperatures. Combined with the separately sold upright stand, Balad will turn into a stylish floor lamp. Battery life 7-14 hours, charge time 4 hours. 2 metre USB-C cable included. Lighting intensity: 100% (4000K and 6000K) and 50% (4000K).